Amino AcidsUniversal Nutrition Amino 1900 - 110 tabl. 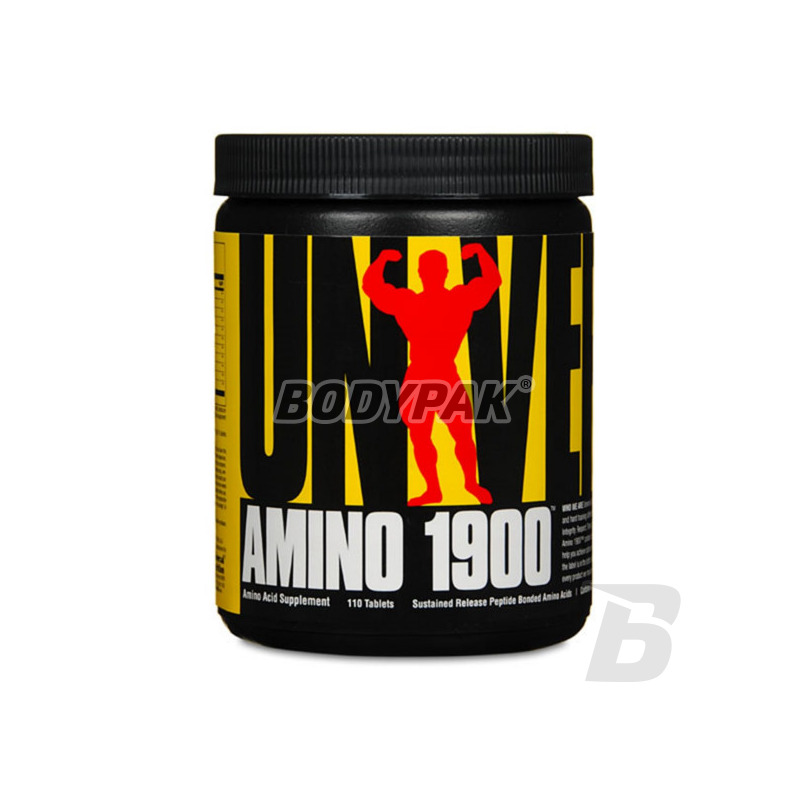 Universal Nutrition Amino 1900 - 110 tabl. Amino 1900 - whey protein hydrolyzate of the highest quality peptide-bonded amino acids. Studies have shown that two- and three-peptides are more rapidly assimilated and utilized by working muscle than either free form of amines or whole proteins such as conventional whey protein powders. Amino 1900 drives your muscles using 1900 mg of whey hydrolysates peptide-bonded per tablet which additionally accompanied by special digestive enzymes and vitamin B6 reinforcement effect. When it comes to filling their muscles valuable amino acids and start protein synthesis, reduce protein catabolism, and improve nitrogen retention, Amino 1900 is the answer. Each serving (3 tablets) Amino 1900 5 grams amino acids. Universal Amino 1900 is a high quality amino acid supplement that contains essential amino acids BCAA, along with amino acids EAA. This comprehensive supplement of amino acids contains all the amino acids responsible for the development of muscle structure. Thanks Conditioner Universal perfectly supports the building of lean muscle mass. In addition, anti-catabolic amino acids act and prevent muscle tissue breakdown. 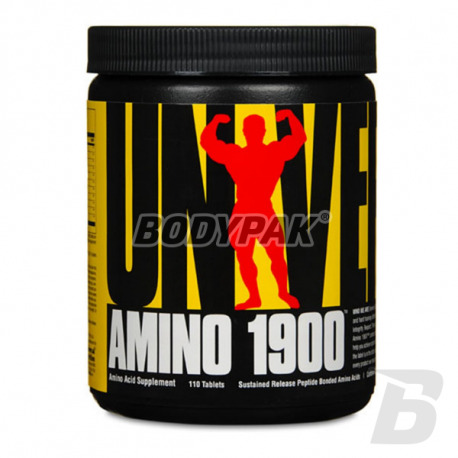 Universal Amino 1900 is therefore an excellent support fast recovery time. Anabolic conditioner perfectly complements the deficiency in the body of every athlete, especially bodybuilders and people practicing fitness, optimize muscle protein synthesis while the action of catabolic and accelerating recovery post-workout. Excellent absorption of the supplement is provided by the content of vitamin B6. 3 times a day for 3 tab. meals. Jedne z gorszych aminokwasów, z jakimi miałem styczność do tej pory. Nie czułem takich efektów i takiego działania jak po tych, które używałem wcześniej, czyli z Trec'a.